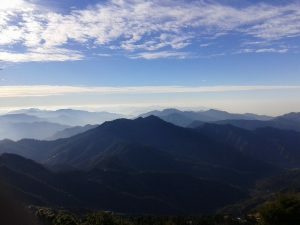 Mussoorie is all time go place one can visit it in summers and winters both. The place is situated over 2000 meters above sea level and covers an area of 65 square meters. The full bloom can be seen between April to June and September to November. On the chamunda peeth temple, road, a private enterprise named Soham Heritage center is located. This place was opened in 2013 for preserving and showcasing the heritage of the area. Beautiful paintings, canvasses, sculptures, scrap arts reflect the beauty of Himalayan region surrounding Mussoorie. The center displays history from 1814 till 1959. The center organizes the heritage walks, bird watching walks throughout the region. Happy Valley is a large Tibetan settlement in Mussoorie. IAS Academy has been housed here. This place is also called mini-Tibet and around 5000 Tibet refugees live here. The valley is situated in lush green valley atop a cliff. The astounding Tibetan architecture is situated in the city and some of the major Tibetan temples can be located here. A nice view of the Benog Hill circuit can be experienced from here. On the top of Benog Tibba, the famous Jwala Devi temple is located at the altitude of 2100 meters in Mussoorie. Inner sanctum has a beautiful stone idol the temple is surrounded by hills, lush green valley and some small streams. Tourists can have a look at the Shivalik range and green Yamuna valley as well. Pine and deodar trees decorate the path. The attraction in a trip is also added by Christ Church this is situated near Kasmanda Palace. 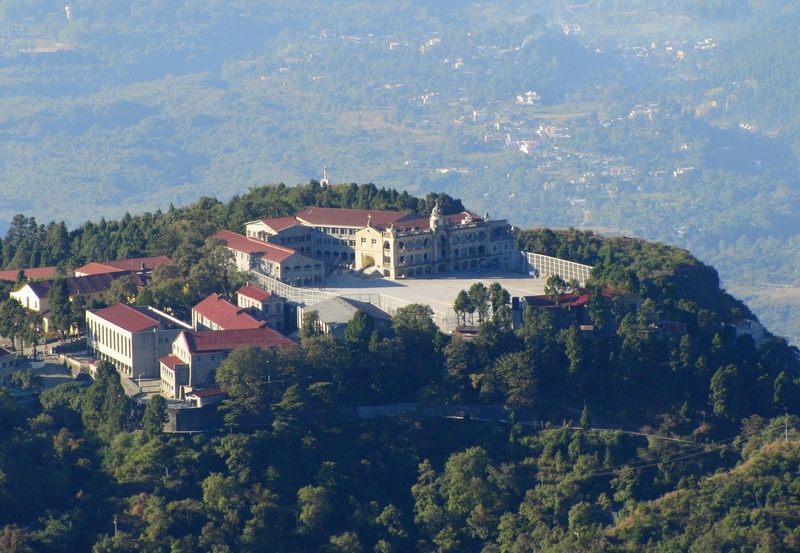 The holy place was constructed in 1836 and is the oldest church in the whole Himalayan range area. Gothic style architecture can be easily seen in the church. The beautifully stained windows show the life of Jesus Christ. Princess of Wales visited the holy structure in 1906. Snow Adventure Zone park is at Buranskhand on Dhanaulti road. It is one of the best places for the adventure seekers. The place was discovered in 2003 and claimed to be one of the highest adventure parks across the nation. New adventure activities like skiing, rappelling is present here it features the longest and highest zip line in the Himalayan range. Alpine meadows, trees of deodar, pines, wall-nuts and Himalayan peaks can be witnessed from here. Company bagh or Municipal garden pulls the tourists. This is situated in Happy Valley area near Lal Bahadur Shastri National Administration Academy. The park is famous picnic spot. More than 800 types of flowers beautify the park, some of the flowers include dahlias, begonia, and pansy. An artificial lake and small artificial waterfall are situated inside the park. Library Bazaar also called Gandhi Chowk is located in bustling mall road. The name is derived from the Victorian styled library. A statue of Mahatma Gandhi is also there. The main attraction is Bandstand where everyone enjoys the song of historic colonial time. Savoy hotel is situated there. Hathipoan is a tourist hotspot on way to cloud’s end. It is located near the summit of a hill amid peaceful and serene village known as Saskhet. It is thickely wooded area. This entry was posted in Hill Stations, Tourist Attractions and tagged hill station, Mussoorie, travel destination. Bookmark the permalink.